Are you ready to find the right the job? The Hughes Agency has placed more than 54,000 people in jobs and the numbers just keep growing. You can believe it when people say that we have it down to a science. 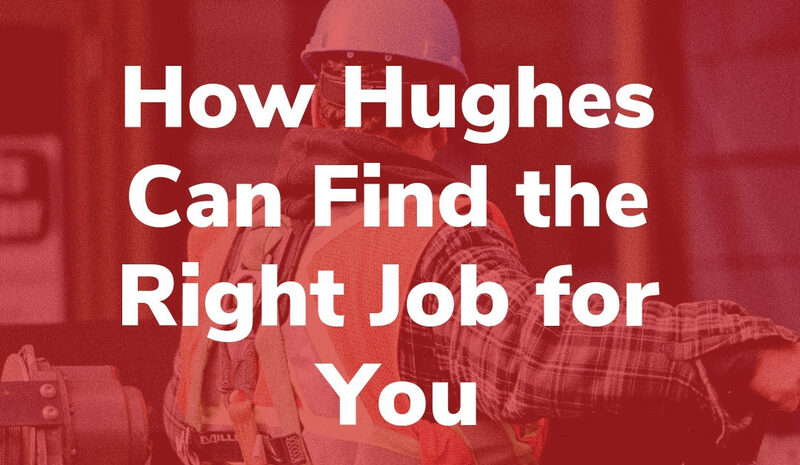 With more than 30 years of experience, Hughes can find the right job for you. First things first, when you arrive at Hughes you will be greeted with a smile, so don’t be nervous! We will start by putting together your file, which will include your ID and filling out anything else that wasn’t completed online. After that, our Staffing Specialist will pre-screen you by going over your work history to ensure that we will be a good fit for each other. We’ve become pretty famous across the state for our Skills Testing process. Depending on your specific area of expertise, we will give you a test that will show us your ability in that area. So for example, if you’re a welder, our skills test will show us that you know the basic safety and practical requirements to do your job. In the same way, if you’re applying for clerical or desk positions, your test may be about basic computer knowledge, skills, and general word processing. Lastly, your personal Staffing Specialist will meet with you and do an official one-on-one interview. It’s not as intimidating as it sounds! We genuinely look forward to getting to know you, hear about your career goals, and matching you with the best position available. If we don’t immediately have something that fits, we will utilize all of our many resources to find a position that works for you. Usually, our turn around time from starting the process, to placement is as fast as 1-5 days. However, it does depend on the availability of your area of expertise. Take a deep breath and rest easy because all of this is 100% free to you. You can start the process today by filling out an application. You’re just a few steps away from finding the right job for you. We look forward to hearing from you! It’s a Great Time to Hire! Copyright © 2019 The Hughes Agency | Designed by Agency501.